The High School North community wishes our Students of the Month continued success in everything they do, It is an honor working with each of you.. The High School North “Student of the Month” is chosen using a combination of staff survey and selection committee review. A monthly survey is sent out to teachers who not only nominate students but must provide reasons for their nominations. After nominations are received the Selection Committee reviews the monthly results along with the results from all of the previous monthly surveys. After careful consideration and deliberation students are selected for this prestigious award. Excellence Through Action, You Make Us Proud! Chris is a 2nd Lieutenant in our Military Club and a Petty Officer 2nd Class in the US Naval Sea Cadet Corp. He is a 2nd degree black belt in Tae Kwon Do and has received the Good Citizens Award 2019 from the Daughters of the American Revolution. In his spare time, Chris volunteers at the Jon Bon Jovi Soul Kitchen. 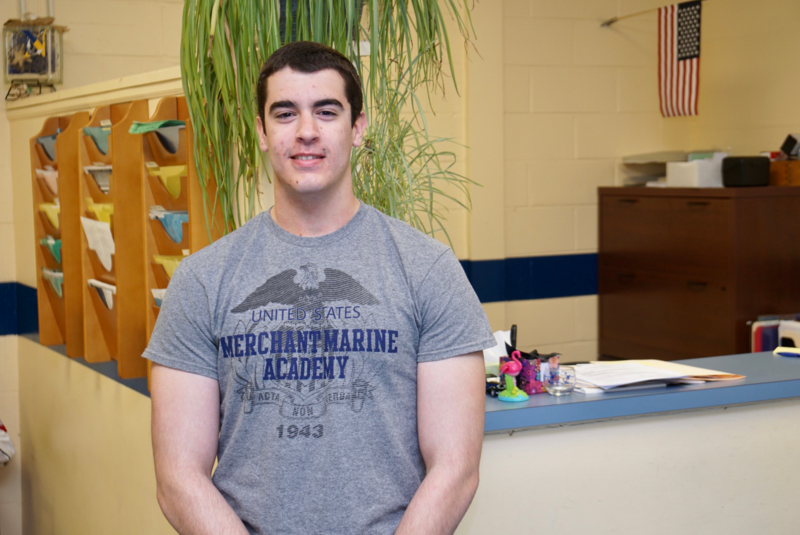 He has accepted an appointment to the US Merchant Marine Academy and will major in Marine Transportation. Sam is a member of our varsity swimming (Captain) and baseball teams, Root N’ Shoots, and FBLA. He has been inducted into National Honor Society and has made the Honor Roll every quarter of his high School career. Outside of school, Sam volunteers at a local soup kitchen and helping kids to learn to play baseball. 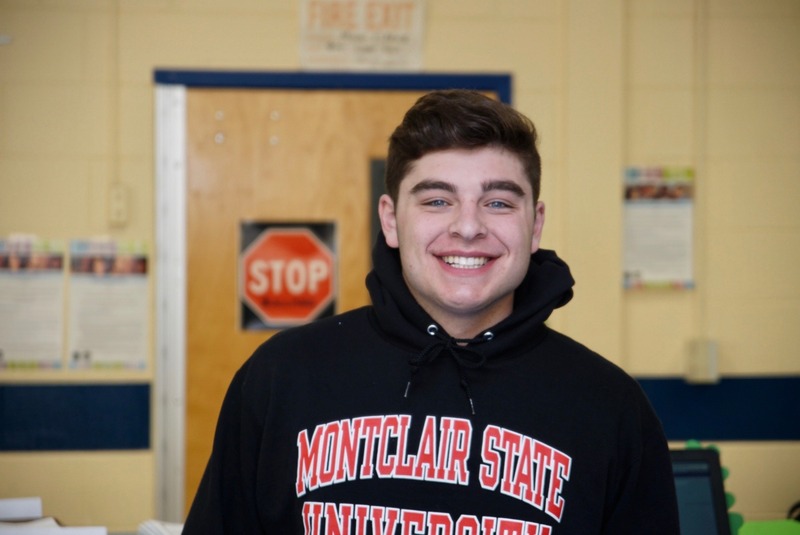 Sam will be attending Montclair State University in the fall and majoring in Business and Finance. Chad has been a member of the All South Jersey Regional Orchestra every year since the 8th grade. He currently serves as the first cello. 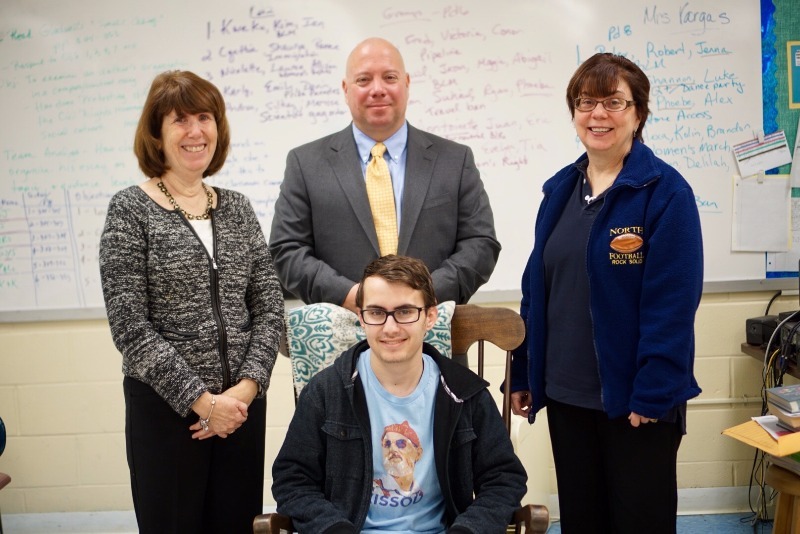 He is the Principal Cellist for the Garden State Philharmonic and was elected to the 2017 All State Orchestra. 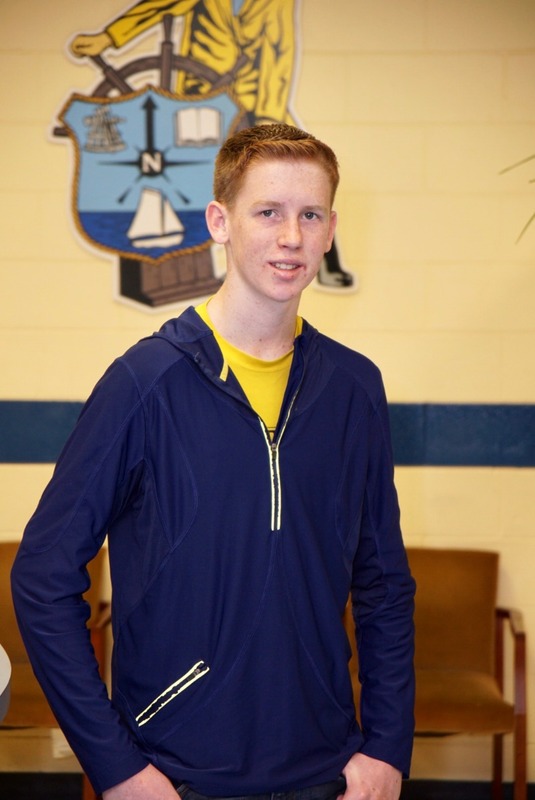 A member of our Chess and Science Clubs, Chad has achieved High Honor Roll status during every marking period of his high school career. He is currently undecided regarding his plans for next year. Mohammad Ali is co-captain and third board on our chess team and is a member of our tennis team. 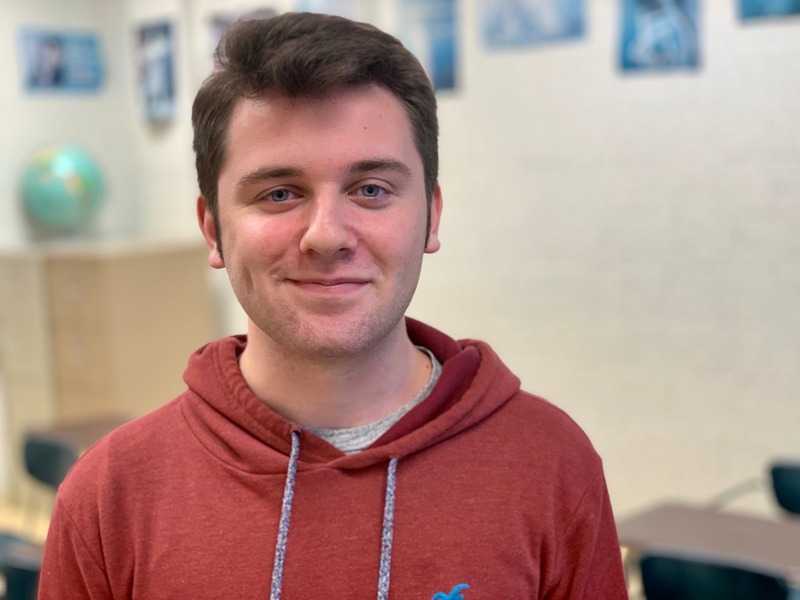 He has received the Bausch and Lomb Honorary Science Award and has been named to the High Honor Roll for every quarter of his high school career. Outside of school he enjoys volunteering at our local animal shelter. Mohammad Ali hopes to attend either Georgia Tech University or the University of Michigan, majoring in Aerospace Engineering. 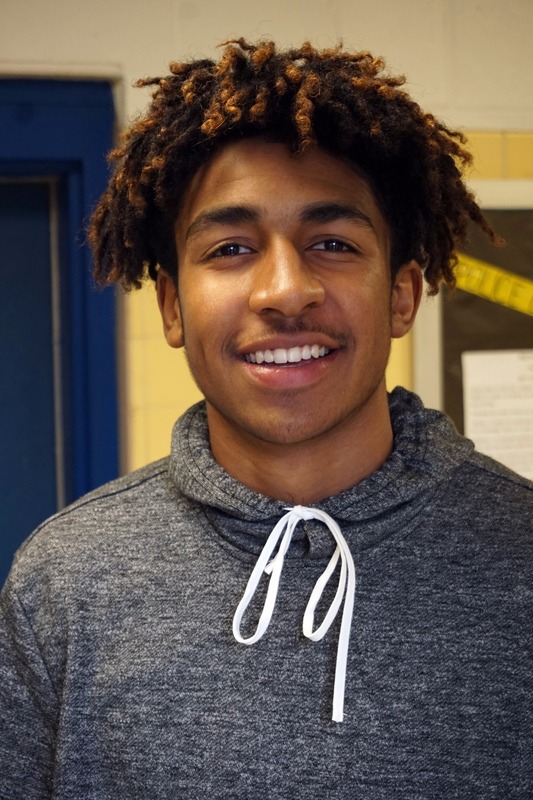 Stavon currently serves as the President of the Class of 2019. He is a member of Big Brothers/Big Sisters and has been a mainstay of both our football and track programs over the last four years. He has been honored to serve as team captain in both sports. Outside of school, Stavon is a member of Boy Scout Crew 129. After graduation, he would like to attend Campbell University, majoring in Biology/Pre-Optometry. John is a four year member of our varsity hockey team. He is proud to have been named a captain of the 2018-19 team. 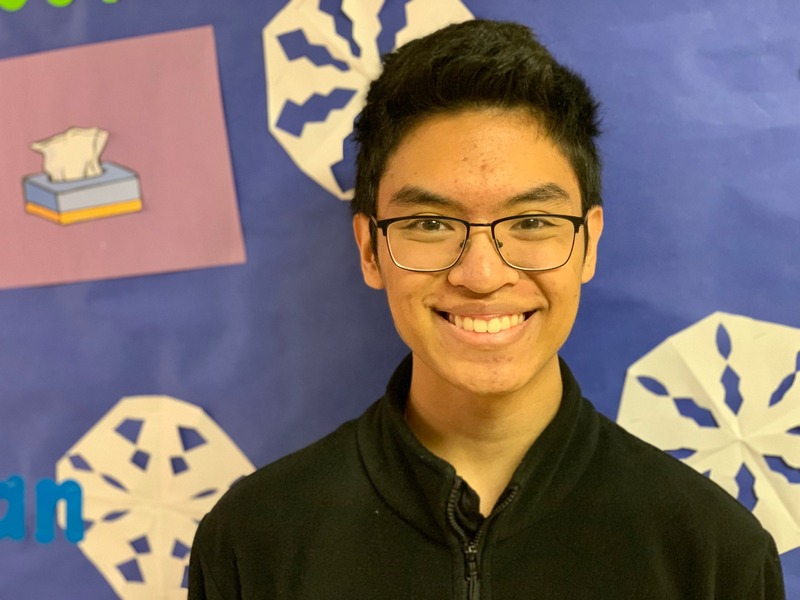 He serves as the president of both Interact and the History Club. He is a member of National Honor Society, captain’s Crew, Roots and Shoots, and TEAM. John is currently visiting schools and would like to major in either Physical Therapy or Education. McKayla competes in alpine skiing and enjoys training in the martial arts. She has created a charity drive, Clothes 4 Kids, which benefits orphanages in South Korea. Last winter McKayla won state recognition for her short story, “Persephone” in an annual Scholastic Writing Competition. She enjoys learning new languages and likes to draw in her free time. She is applying early action to Georgetown University and plans to double majoring in Economics and English. Devon played varsity soccer and has served as the President of the Class of 2018. 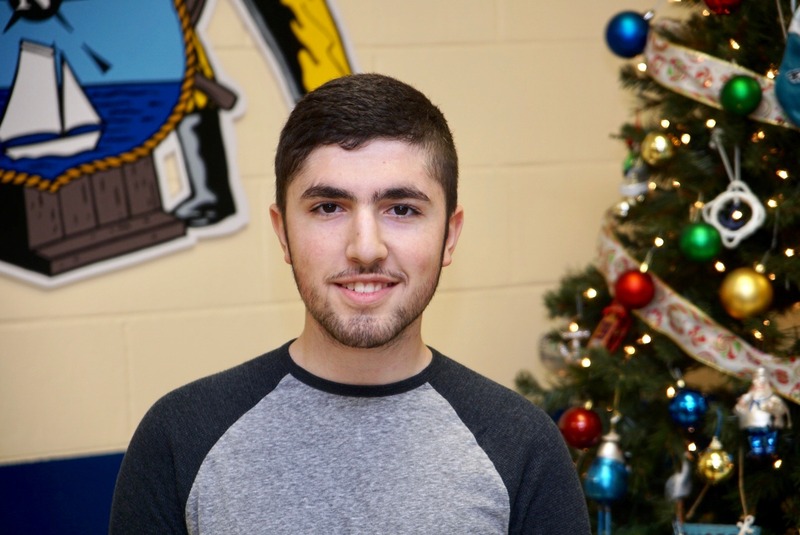 He is a member of Captain’s Crew, National Honor Society, Writing Center and Science League. He has made High Honor Roll or Honor Roll every marking period. He will be attending King’s College and majoring in Chemistry. 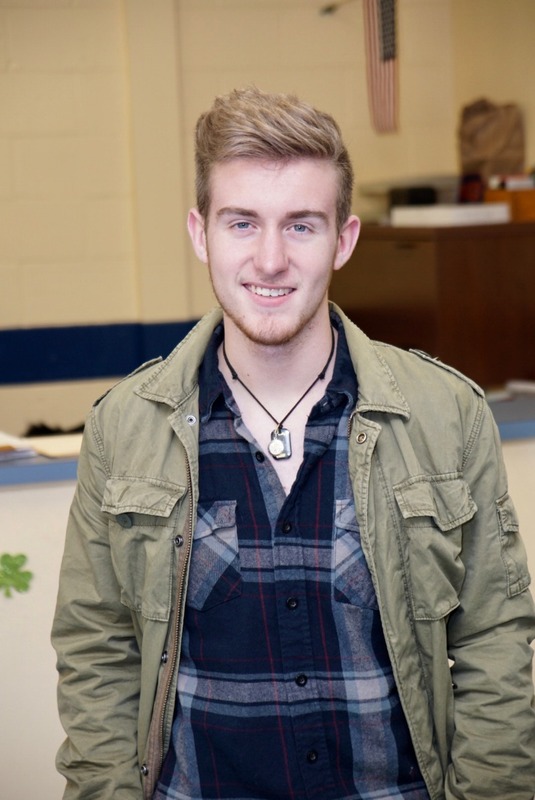 Dan is very involved in theatre, serving as the STO for the state of NJ Thespians. She is proud of his involvement in the “Good Kids” project and is a member of NHS. After graduation, he will be attending Lehigh University and majoring in engineering. Dan would like to encourage everyone to come see The Adam’s Family on March 15, 16, and 17. 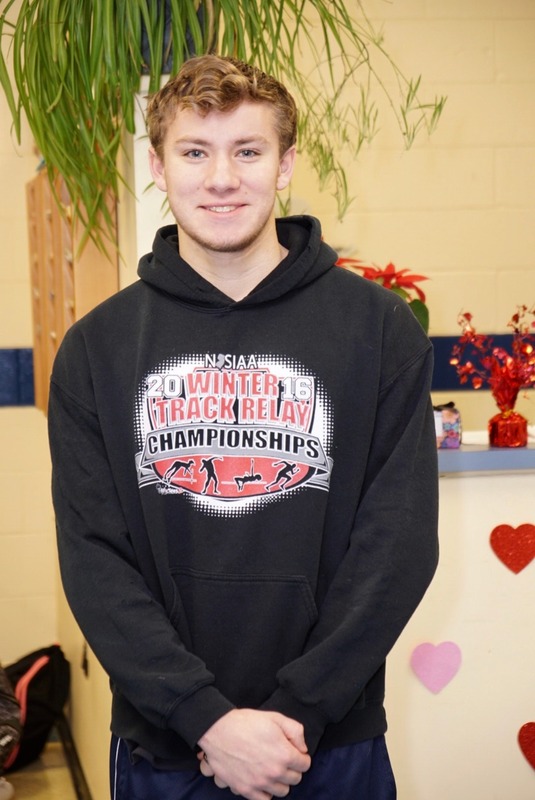 Matthew has been involved with cross country and winter track throughout his school career. He currently serves as the Treasurer of National Honor Society and is a TEAM, Senior in Charge. Matthew received the AP Scholar Award and would like to major in computer science in college. Jonathan currently serves as the president of Nautical Stars Theatre Company. This fall he was a captain of our cheerleading team. 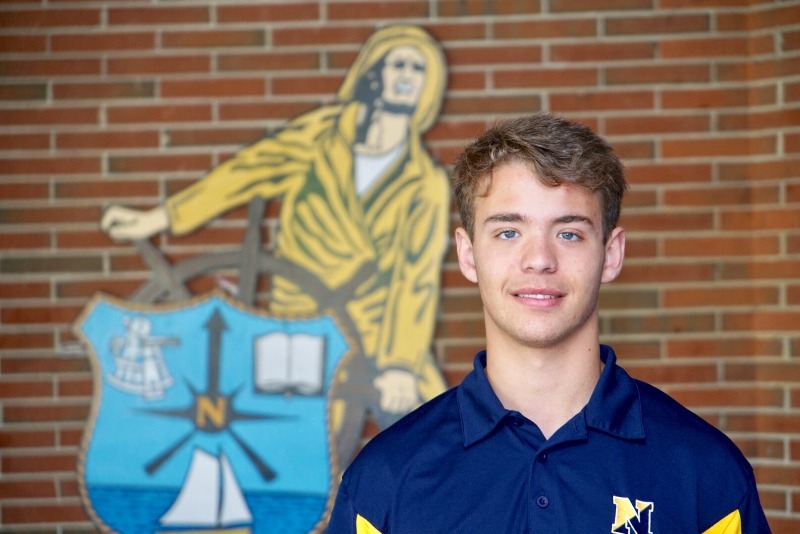 Additionally, Jonathan is a member of National Honor Society and the Class of 2018. He will be majoring in Chemistry at the College of New Jersey next fall. Luke is very active in theatre at High School North and is the president of International Thespian Society Troope #7455. 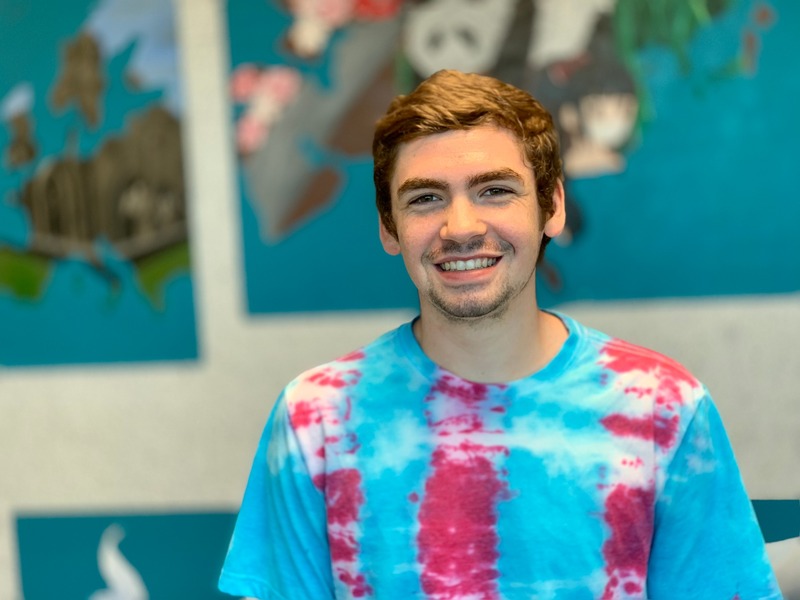 This season he will be directing our school musical, “The Addams Family” after writing and directing our fall play, “Stronger Than The Storm.” Luke is a varsity pole vaulter and has performed as our school mascot, “Salty” throughout his high school career. After graduation, he would like to study animation at the School of Visual Arts and hopes to someday have his own cartoon on Netflix. 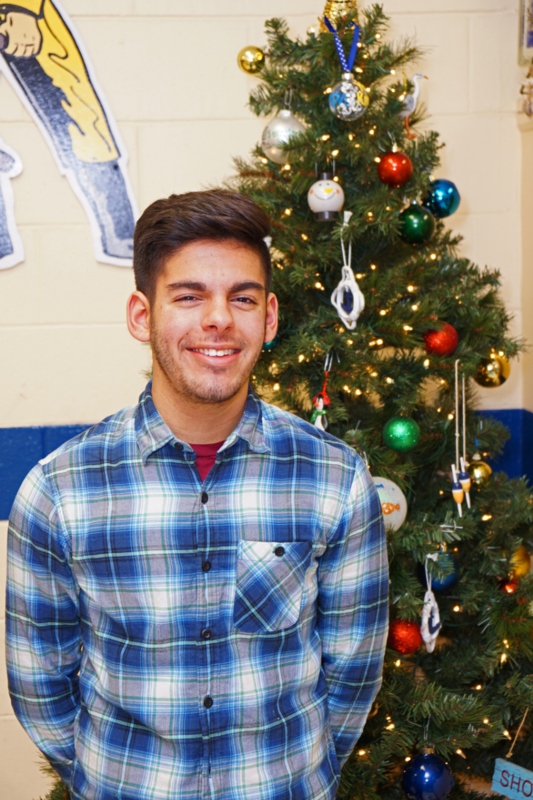 Victor serves as the Vice-President of the Class of 2018 and is the co-editor of the Captain’s Log. He is also involved in TEAM, Captain’s Crew, Mariner Maniacs, and SAAD. As member of nautical Stars Theatre Company, Victor has been involved several productions. He is proud to have received a Papermill Playhouse nomination for his performance in Bring It On. 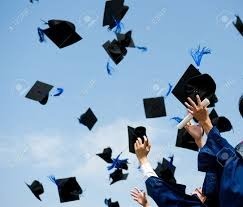 After graduation, Victor would like to attend NYU or Pace University, majoring in Acting with a minor in Journalism. Daniel currently serves as the president of our Debate Club, Community Service Leaders, and FBLA. He is active in NHS, Spanish Club, Current Events Club, Math Club and the Green Team. 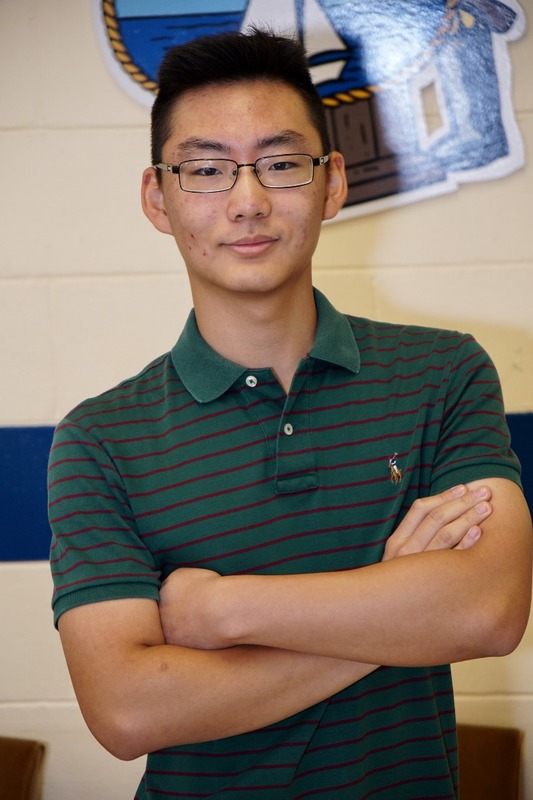 He has been named an AP Scholar and has achieved High Honor Roll every quarter of his high school career. Daniel proudly represented our school district at the Central Jersey Consortium for Excellence, Leadership, and Equity. Dan would like to attend Columbia, UPENN, or Harvard, majoring in Economics, Math, or History. 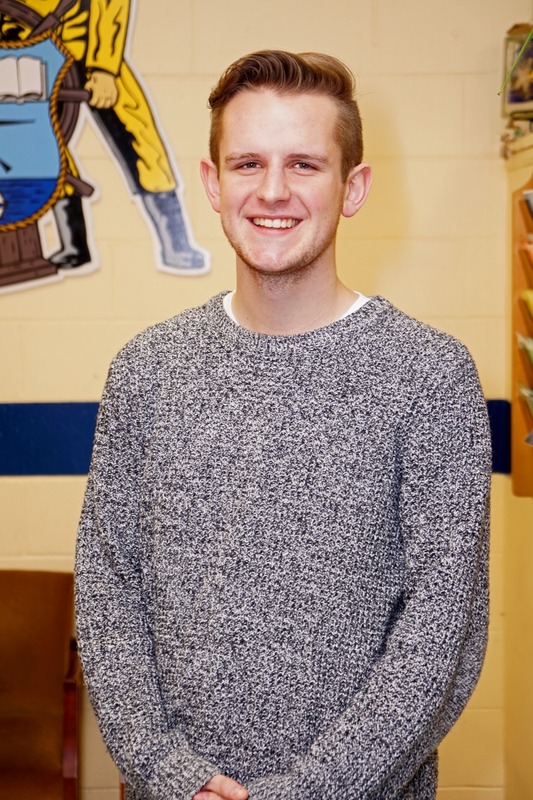 Matthew has served as the Secretary of the Class of 2017, a writing center tutor, and is a member of NHS. He is a member of the Green Team and Buddy Club and volunteers his time regularly outside of school. An excellent student, Matt has received an academic letter all four years in high school. He is extremely proud that he was named United Synagogue Youth of the Year. He will be attending the University of Hartford and majoring in Health Science and Physical Therapy. Joe is a member of National Honor Society, Interact, Robotics Club, and our Authentic Science Research program. He won 1st place in the CSTA South Jersey Coding Competition and 3rd place in Computer Science at the 2017 Delaware Valley Science Fair. 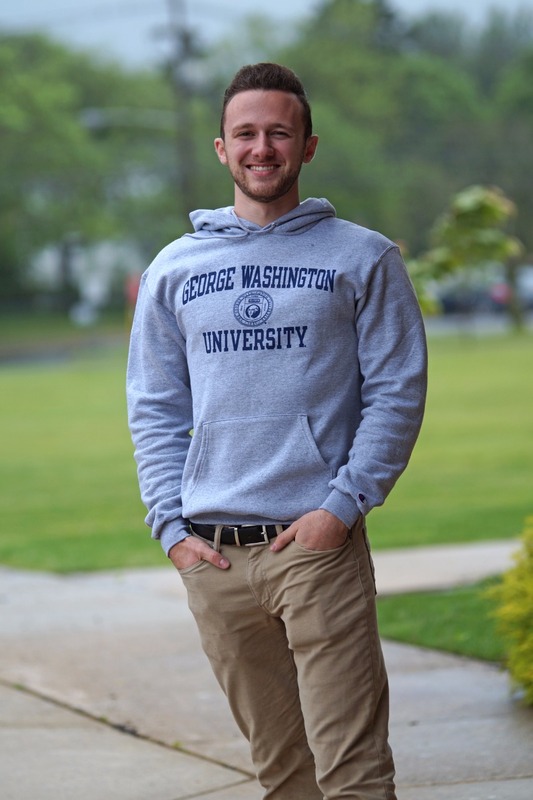 Joe will be attending George Washington University in the fall and majoring in Mechanical Engineering with a concentration in Aerospace. Ken is a member of TEAM, NHS, and NAHS. He has been an Academic Letter winner for the past three years and has made Honor Roll during every quarter of his high school career. Outside of school, he volunteers at the First United Methodist of Toms River. He enjoys skateboarding, surfing and science. 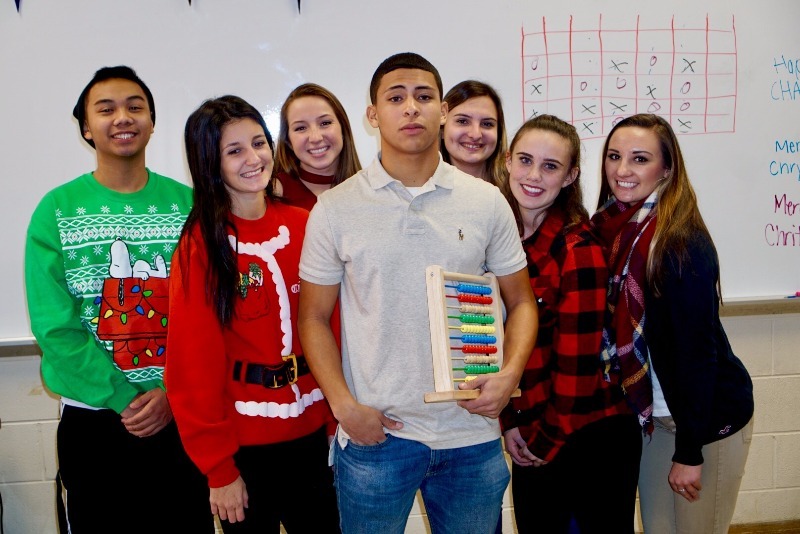 After graduation, Ken plans on attending the University of the Sciences, majoring in Pharmacology and Toxicology. Darrion has been an active member of our football and basketball programs over the last four years. This fall, he was named to both the All-State and All-Metro teams. On the basketball court, Darrion is High School North’s all-time assist leader. An excellent student, Darrion has been involved with our Authentic Science Research program throughout his high school career. He plans on attending Yale University as a business major and member of the football team. 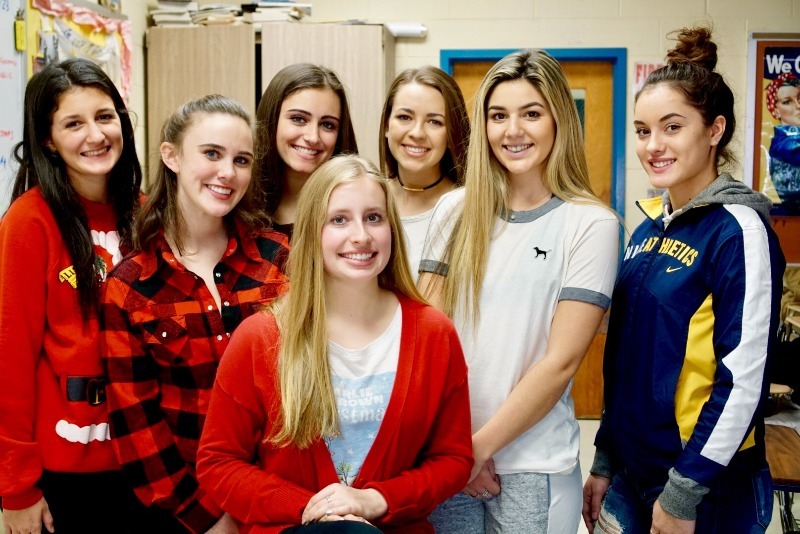 Karly Congero serves as the President of the International Thespians Honor Society and a member of the Nautical Stars Theatre Company. She is a member of the National Honor Society, the Tri-M Music Honor Society, Captain’s Crew, and our field hockey team. Outside of school, Karly works with the Holy Cross Theatre Group and has played club soccer. She hopes to attend McDaniel College in the fall. Aaron Espinosa is wasting no time making the most of the new year. He was selected as this month's "Student of the Month" a prestigious honor. 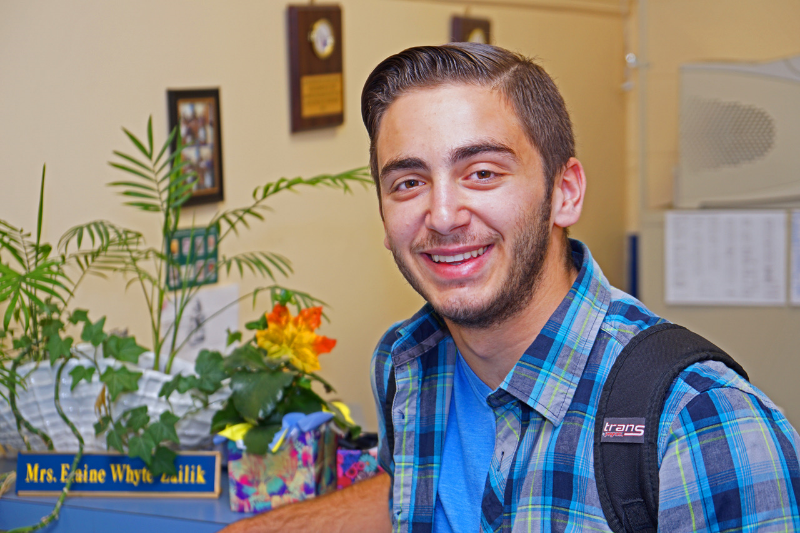 Aaron plans to major in Physical Therapy at either the University of Delaware or Rowan University. 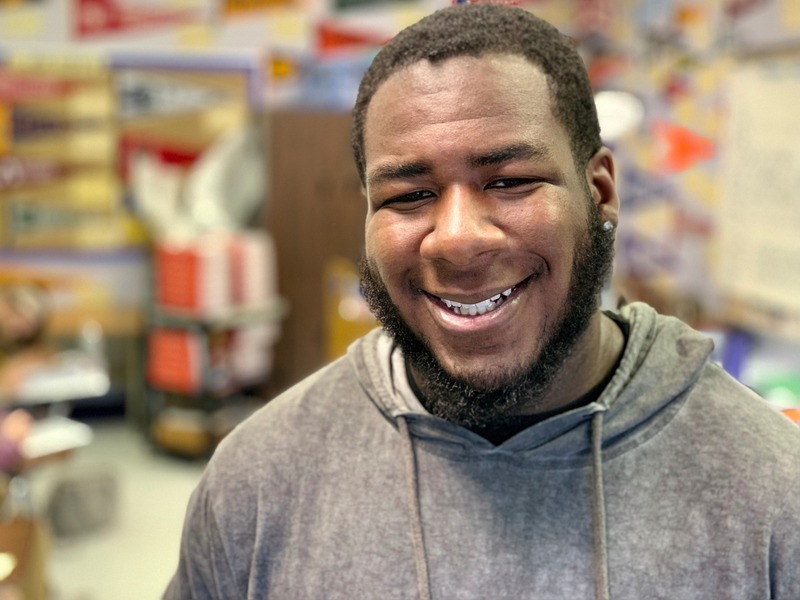 He is an excellent student, ranked 9th in his class, and has been on the High Honor Roll throughout his four years at North. He runs spring track and is a member of NHS, The Green Team, and Spanish Club. 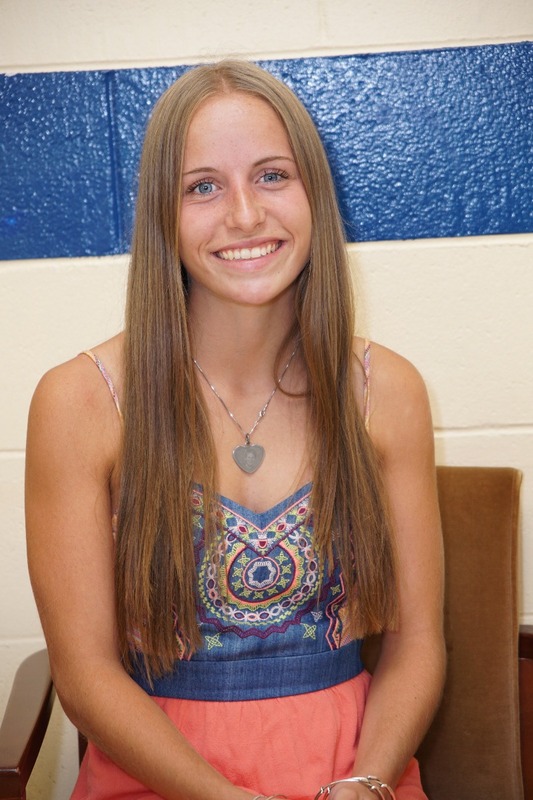 Madison has been a three year member of our varsity girls’ soccer team who won 3 Class A South Championships, a Shore Conference and Group 4 State Championship. 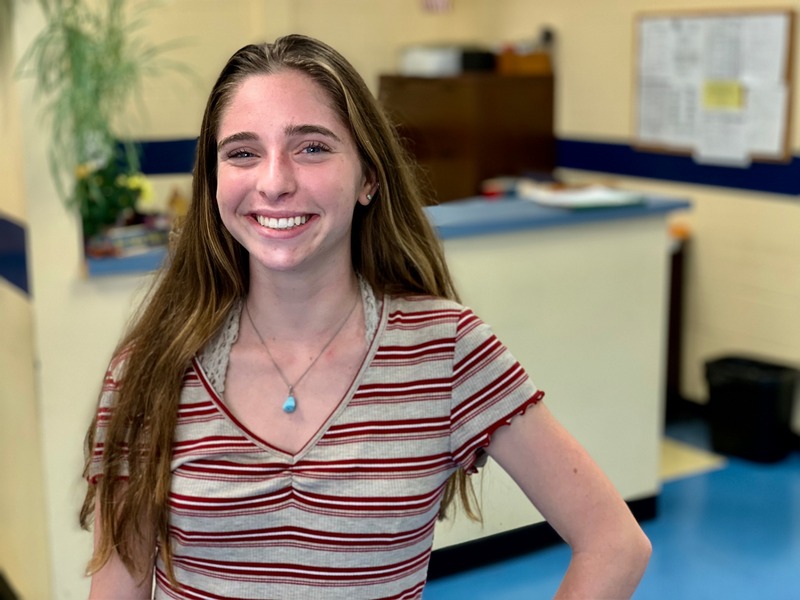 She has been inducted into National Honor Society and serves as our school’s representative on the Super Safe Schools Committee. Outside of school Maddie is a coach for TRIC soccer. 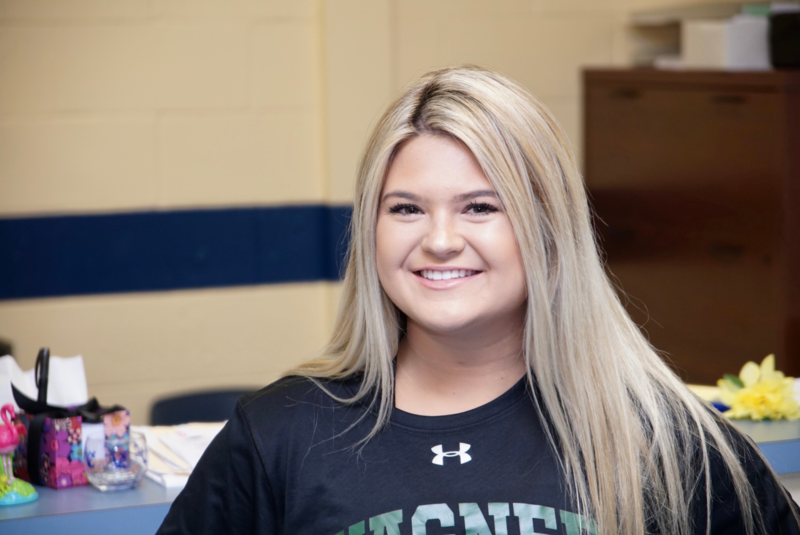 She will be continuing her education and soccer career at Wagner College in the Physician Assistant program. Jenna has been a four year starter on our varsity basketball team and currently serves as a team captain. She finishes her basketball career as Toms River North’s all-time leading scorer with 1988 points. She has been named Class A South Player of the Year (2018), NJ.com Shore Conference Player of the Week (2019), WOBM Christmas Classic 1st Team (2017, 2018, 2019), and helped the team win the South Jersey Group 4 State Championship in 2018. She has been inducted into National Honor Society and is a member of Field of Dreams, Captain’s Crew, and volunteers with the TRBA Challenger Program. 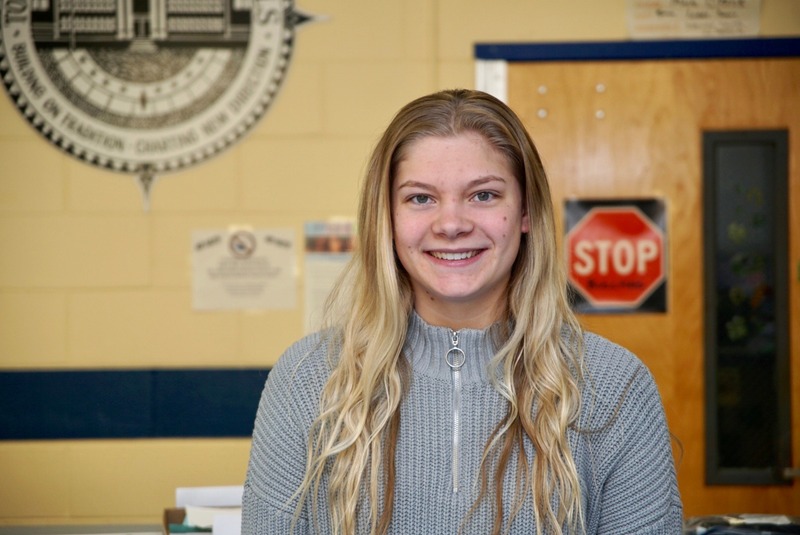 Jenna has made High Honor Roll during every quarter of her High School Career and will be attending Colgate University, majoring in Biology and continuing her basketball career with a full scholarship. Madison is the Editor in Chief of The Captain’s Log, President of the book club, TEAM Senior in Charge. 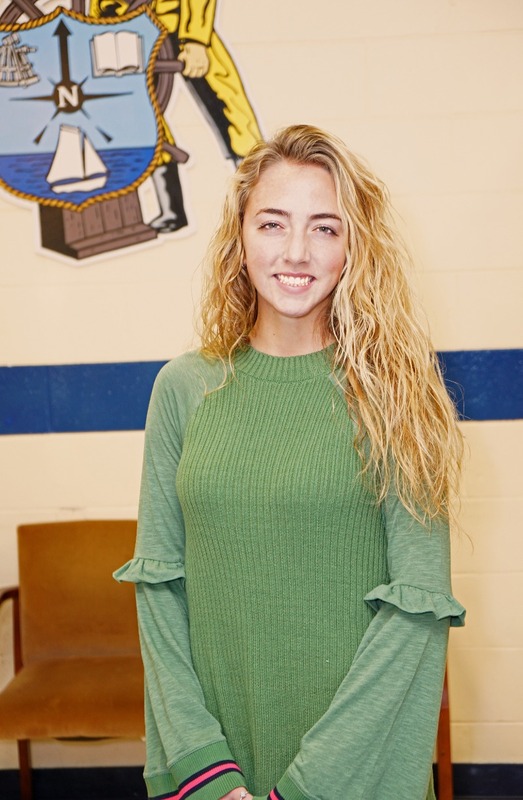 She has been inducted into the French National Honor Society and is involved with Big Brothers Big Sisters and Field of Dreams. After graduation, Madison would like to major in psychology and political science with the intention of attending law school. 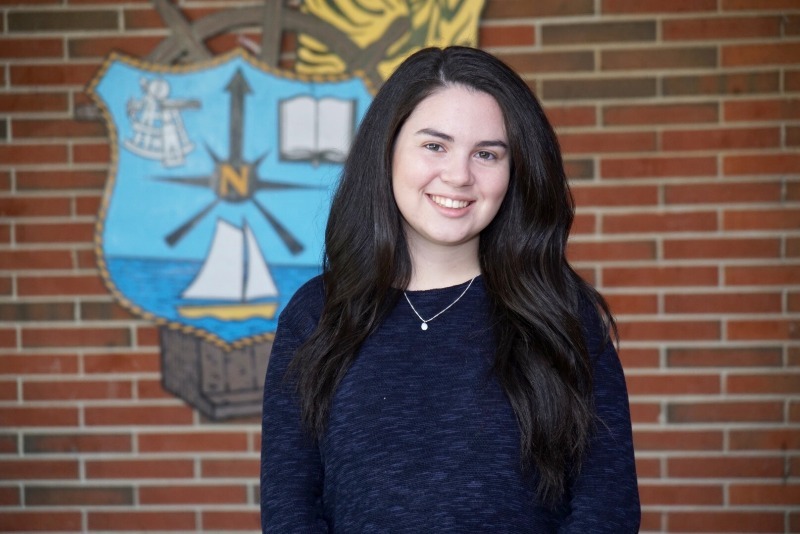 Gianna currently serves as our President Emeritus of the Student Council. She is an active member of our varsity bowling team, National Honor Society, Green team, School Store, and History Club. She has represented our school at Girl’s State and has earned three Academic Letters. 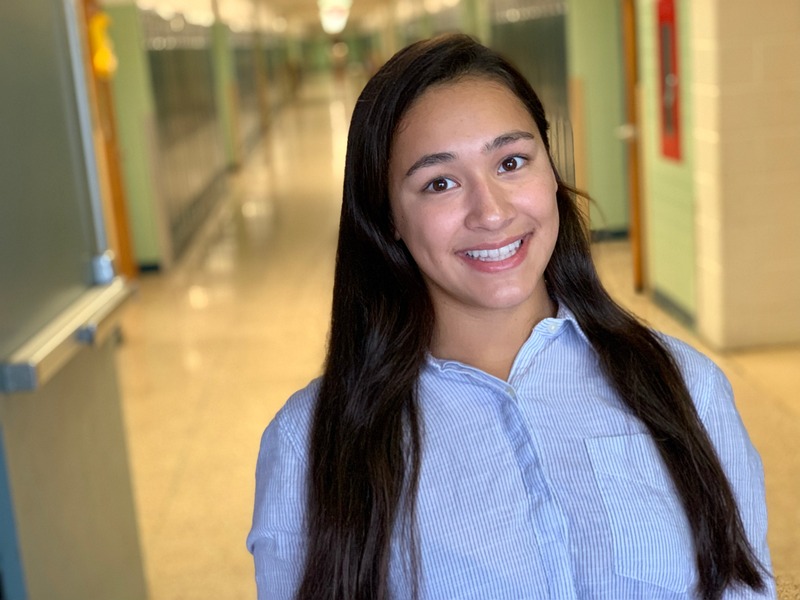 Gianna has always enjoyed the history and PLE classes she has taken and would like to major in political science on a pre-law track in college. 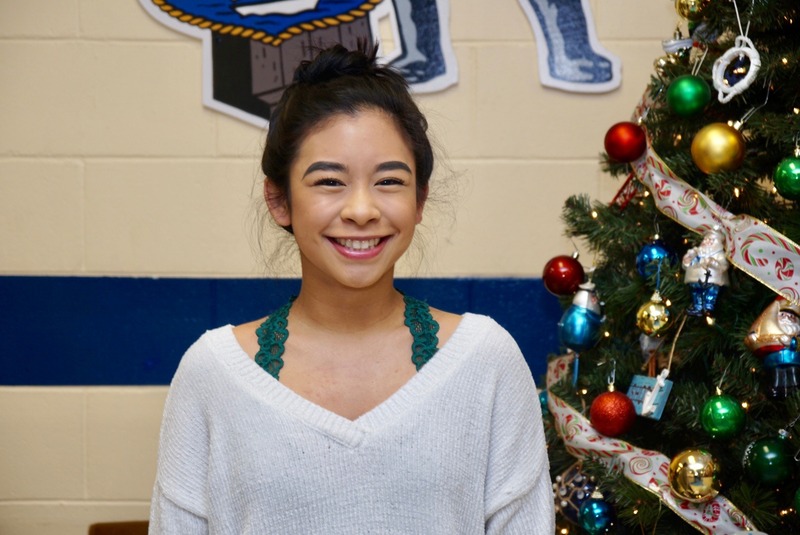 Yna is a member of NHS, The Jamettes, and the TRN School Store. 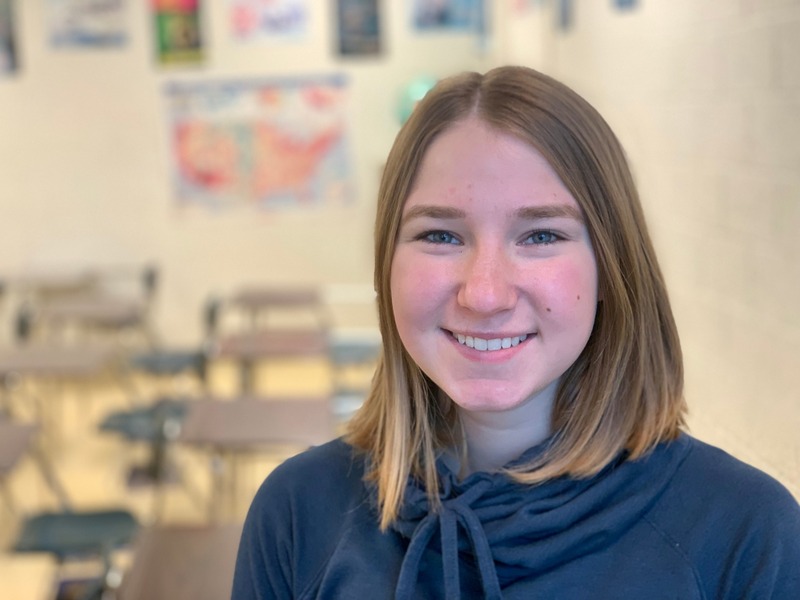 She currently serves as the President of the Thespian Honor Society and has been named to the All State Mixed Choir for each of the last two years. This year she was honored as a member of All Eastern Treble Choir. 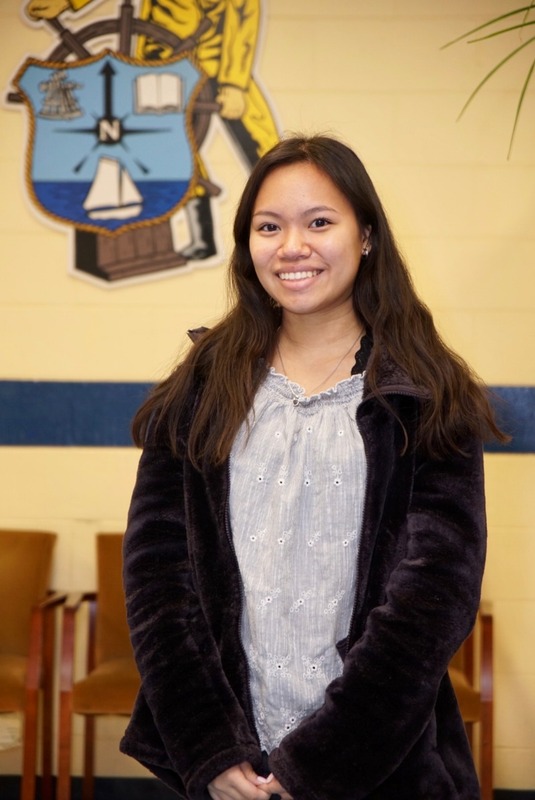 Academically, Yna is an AP Scholar as well as a National Hispanic Recognition Scholar. She is very proud to have been nominated twice at Papermill Playhouse’s Rising Star Awards and for performing at 54/Below’s Broadway Back to School in September. She hopes to major in Musical Theatre after graduation. 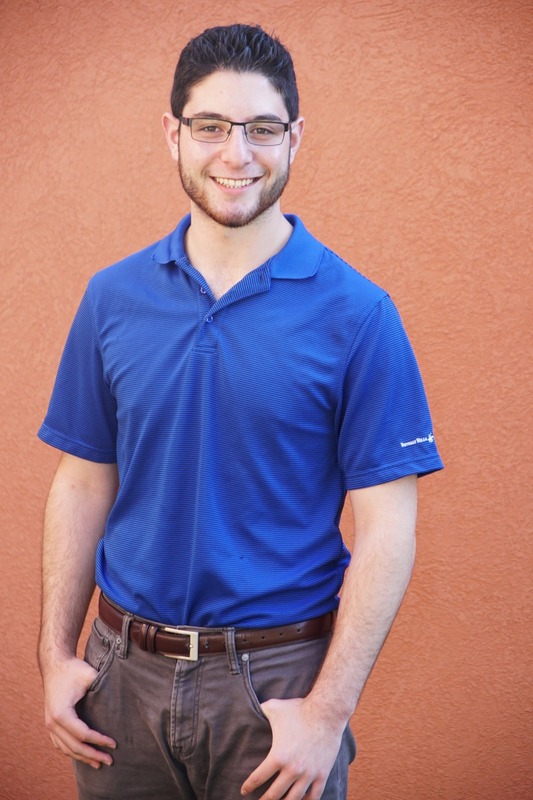 Jordan serves as the Animal Chair for Roots and Shoots and is a Writing Center Tutor. She plays the viola in our orchestra and has been inducted into National Honor Society. Jordan has been involved with our track teams for all four years of her high school career, receiving honors such as the Unsung Hero, Coaches Award, and Most Improved Performer during cross country. She is a National Merit Commended Scholar and has been recognized for excellence in math and science by the Society of Women Engineers. 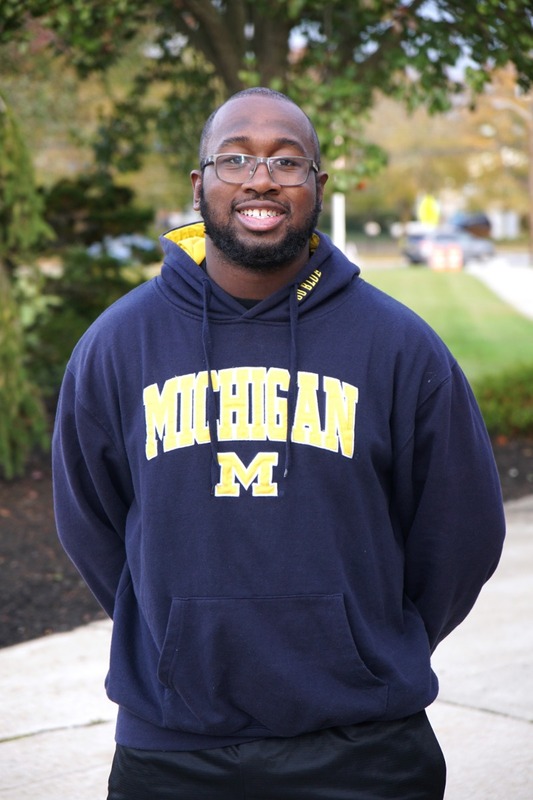 After graduation in June, Jordan would like to double major in Biology and Public Policy. Shannon serves as the treasurer of our National Honor Society chapter. She is the president of the Current Events Club and is a member of our varsity swim team. She is proud to have completed research at the Governors School of Engineering and Technology for the development and characterization of plastic composites. Her work was published and presented at MIT for the IEEE Undergraduate Research Technology Conference. 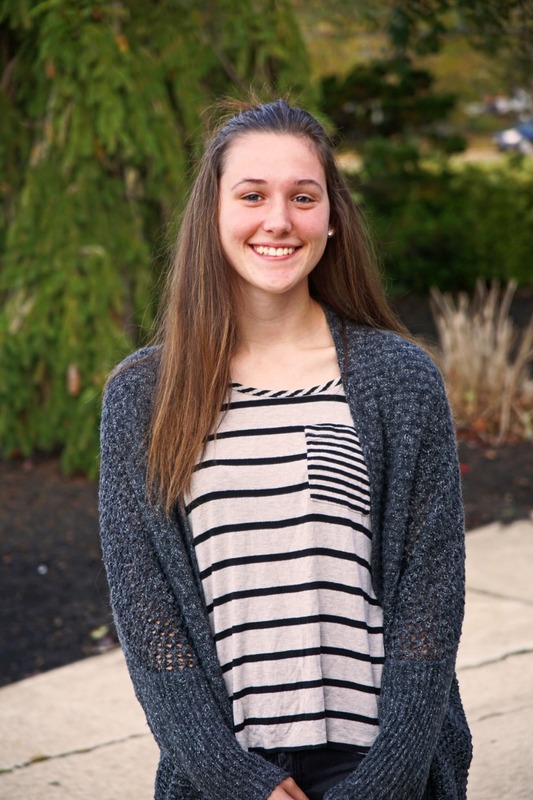 Shannon is interested in attending college and majoring in chemistry with the hopes of following the pre-med track. 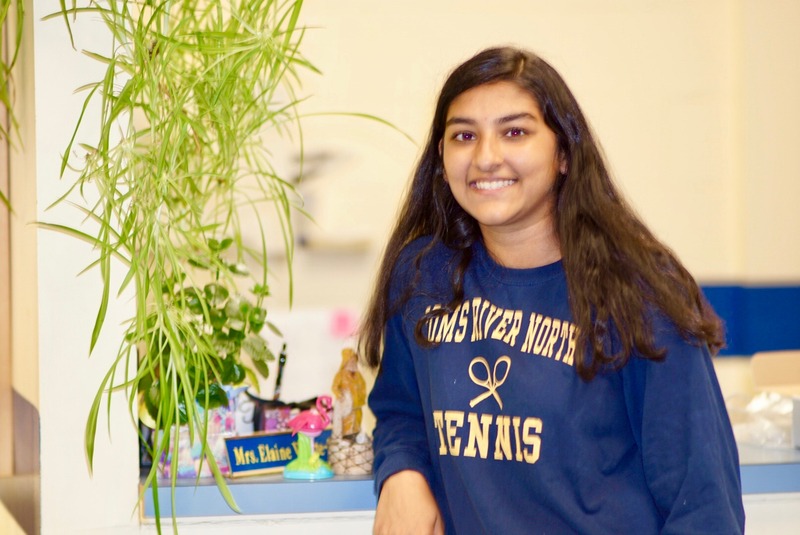 Riya is a member of our varsity tennis team and National Honor Society. She serves as a Writing Center Tutor and is a member of Key Club. Outside of school, Riya has been honored as a Congressional Gold Medal recipient and named an AP Scholar with honors. She volunteers as a EMS explorer and has done research at the New Jersey Governor’s School in the sciences. Undecided on a school, Riya would like to major in Pre-Med after graduation. Leena has been involved with the Green Team, National Honor Society, TEAM, Captain’s Crew, and played varsity tennis. Outside of school, Leena works as tennis instructor and volunteers at the Ocean County Library. She also enjoys making and selling bracelets in her spare time. 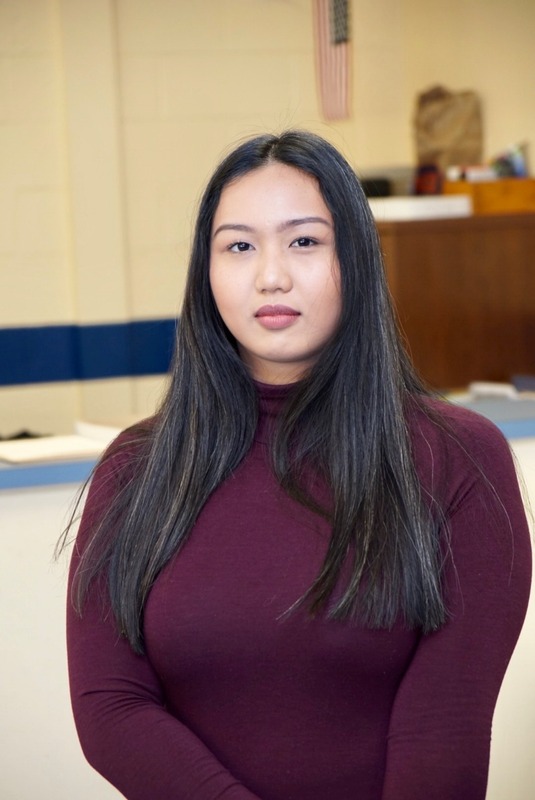 An excellent student, Leena has received High Honor Roll every marking period in high school and has been named the Salutatorian of the Class of 2018. She will be attending Steven’s Institute of Technology and majoring in Engineering. Danika is a member of the Garden Club, Green Team, PAWS, and TEAM. She is a proud 4 year member of our orchestra and has achieved high honor roll every marking period throughout her career. 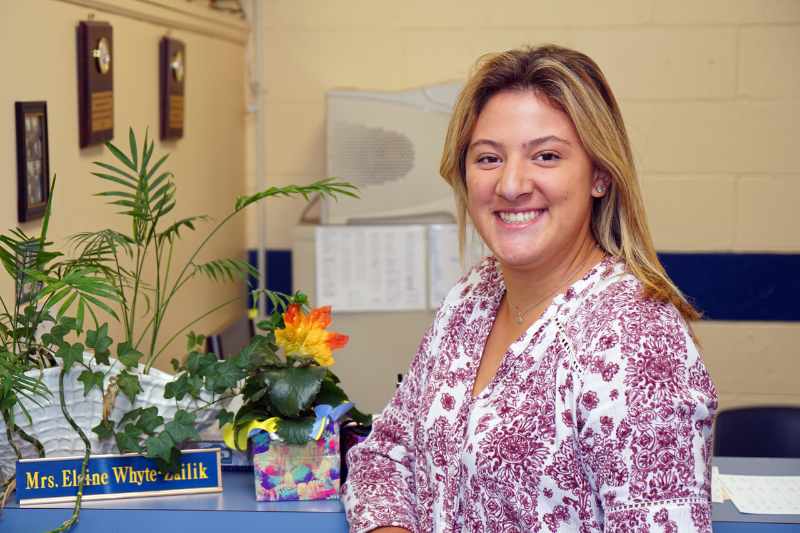 Danika is proud to have worked on beautifying the memorial gardens in F-wing and the TRN flowers near the main office. 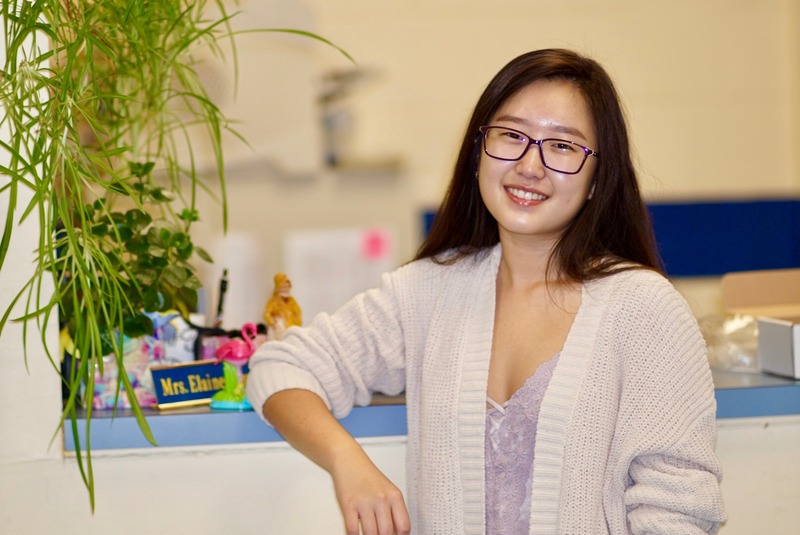 After graduation, she hopes to attend NJIT or Rutgers and majoring in computer science. Finally, Danika thanks the teachers who nominated her for this honor. Sarah has been a member of our cross country and track teams for the last four years. She is active in National Honor Society, the Class of 2018, Mariner Maniacs, and Root & Shoots. An honor roll student, she has received academic letters each year and was recently named “Most School Spirited” by her classmates. After graduation, Sarah hopes to attend Michigan State University, majoring Human Biology with the hopes of becoming a pathologist. Jenna served as a captain of our varsity soccer team this fall, receiving 1st team All-Shore, All State, and All A South honors. She is also a member of National Honor Society, the Class of 2018, and Captain’s Crew. In her spare time, Jenna started a small art business. She is currently undecided on a major but will be attending Georgetown University in the fall and will be a member of the Hoya’s women’s soccer team. Mia currently serves as the vice president of National Honor Society and served as a captain of the varsity field hockey team this season. She is a member of the Thespian Honor Society and has achieved high honor roll, receiving academic letters throughout her high school career. Outside of school, Mia works as a sailing instructor. After graduation, she hopes to study Cognitive and Behavioral Neuroscience at Villanova University. 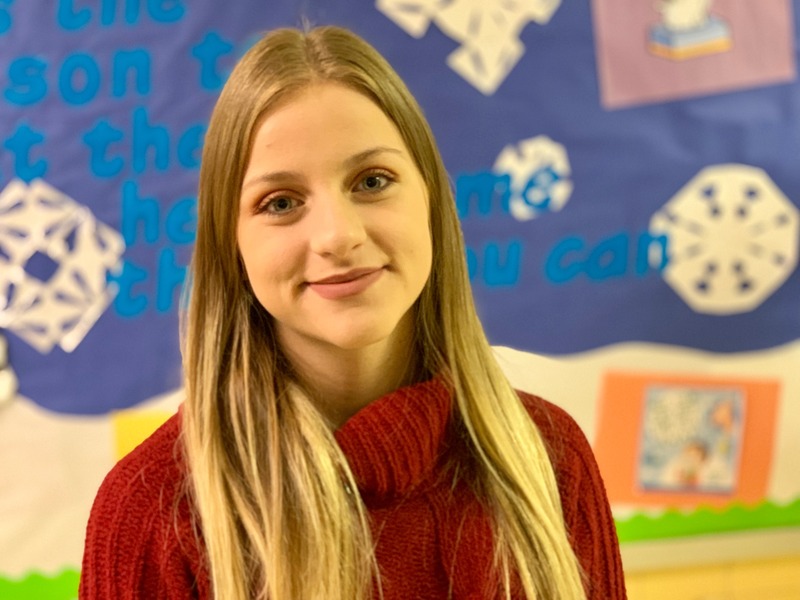 Casey currently serves as the President of NHS, Co-President of Key Club, captain of the Gymnastics team, and is a student ambassador with Big Brothers/Big Sisters. She is a member of the Torch and Laurel Society and qualified for both the Shore Conference and State Section Gymnastics Meets this season. After graduation, Casey would like to major in both Chemistry and Biology on the Pre-Med track. 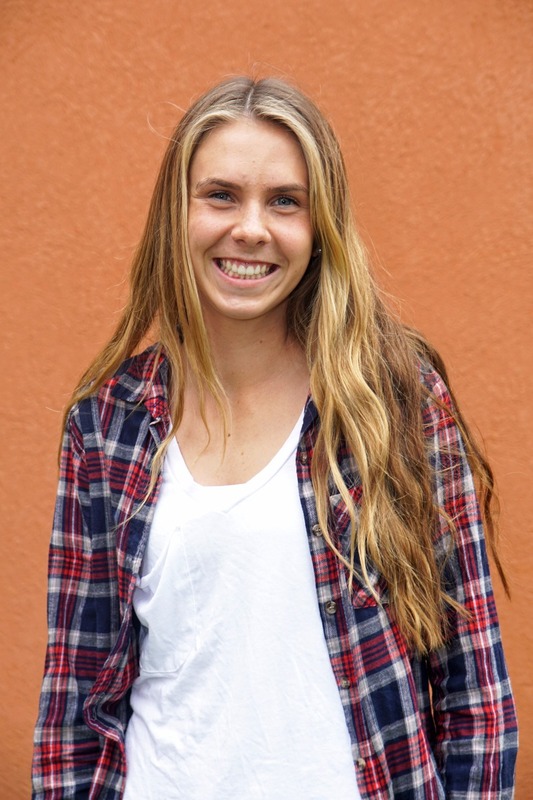 Corinne is the Captain of our Varsity Cheerleading team and very involved with the Mariner Maniacs. She is proud to have earned the TRN Cheer Outstanding Team Player Award (2015-16) and the TRN Cheer Leadership Award (2016-17). Currently undecided on her college plans for next year, Corinne would like to major in Fashion Design. Kelly is a member of NHS, Interact, Paws, and the Ski Club. She is the captain of our Varsity Gymnastics Team. Outside of school, Kelly volunteers at the animal shelter. Achieving High Honor Roll every marking period in high school, Kelly proudly received a Certificate of Merit from the Society of Women Engineers for Excellence in Math and Science. She would like to major in biology or chemistry concentrating in pre-med. Madyson has been a mainstay on our cross country and track teams throughout the last four years. She is a member of TEAM and Captain’s Crew. Mady has been on both the regular and high honor roll each year. She is proud to have been named MVP during the 2016 cross country season as well as being named to the 2016 All Shore team. During the Indoor Track season, Mady set the school record for 1600 meters. She plans to continue her academic and track career at George Mason University. Emily has served as both the class Vice-President and Secretary. She is a member of National Honor Society, Captain’s Crew, and was voted Most Spirited by her fellow classmates. Outside of school, Emily has participated in dance for 16 years. Next fall she will begin the 6 year doctorate program for occupational therapy at the University of the Sciences. Kaitlyn is a member of NHS, Buddy Club, and a mainstay in our theater group. She has been an Academic Letter winner for the past three years and has made Honor Roll during every quarter of her high school career. 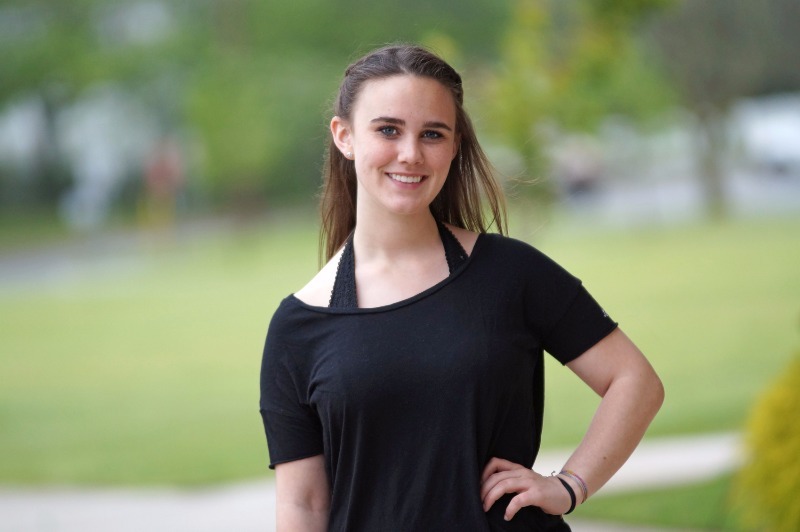 Having danced at Lillian Dean dance Studio for many years, Kaitlyn currently instructs two classes of 2-4 year old students as well as a special needs dance class. 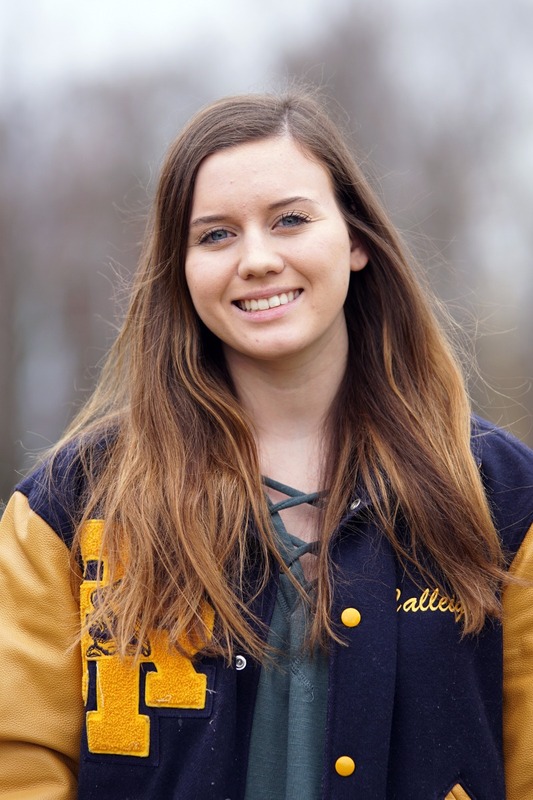 After graduation, Kaitlyn plans to attend either Penn State or the University of Connecticut, majoring in either Biomedical Engineering or Business. Congratulations to our March Student of the Month Calleigh McGinley! 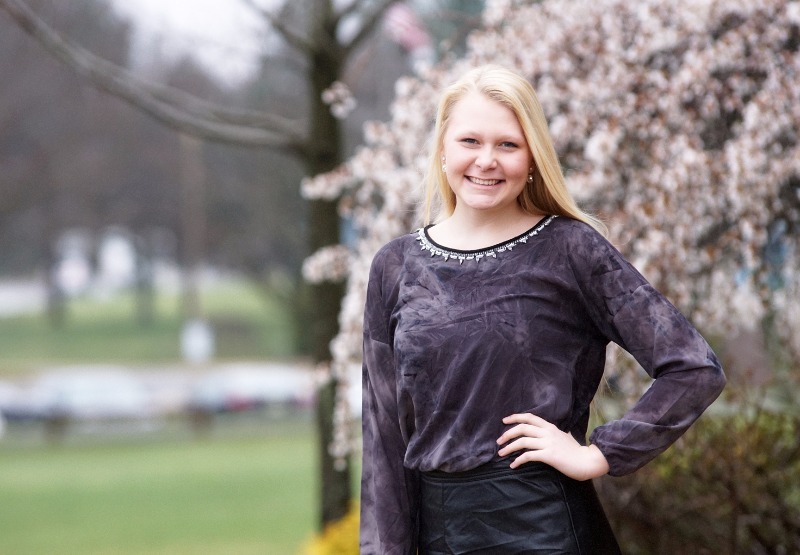 Calleigh is a varsity cheerleading captain and the president of SADD. 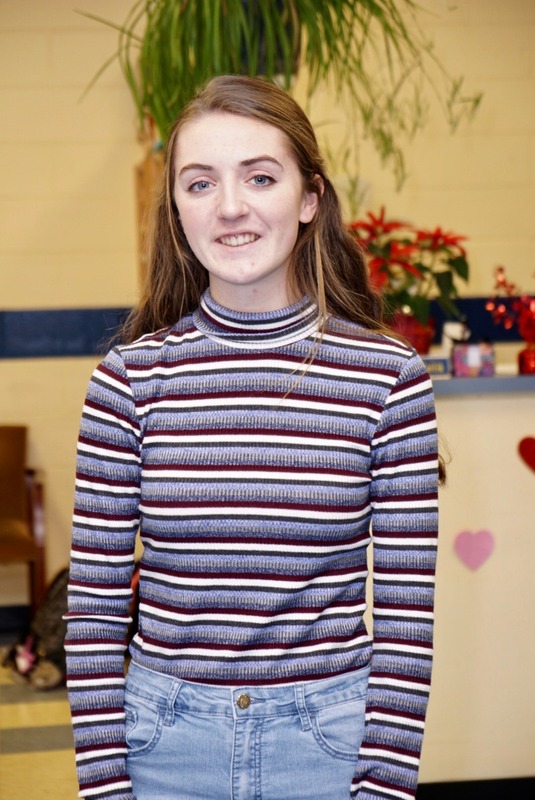 She has been inducted into National Honor Society as well as the National Arts Honor Society and is an active member of the Class of 2017 and French Club. She is proud to have been named a Scholar Athlete and made the Honor Roll during each of the last four years. Calleigh is unsure of her college plans but would like to major in Psychology. Ian currently serves as the Editor in Chief of The Captain’s Log and is a member of the Nautical Stars Theatre Company. He is an Academic Letter winner. 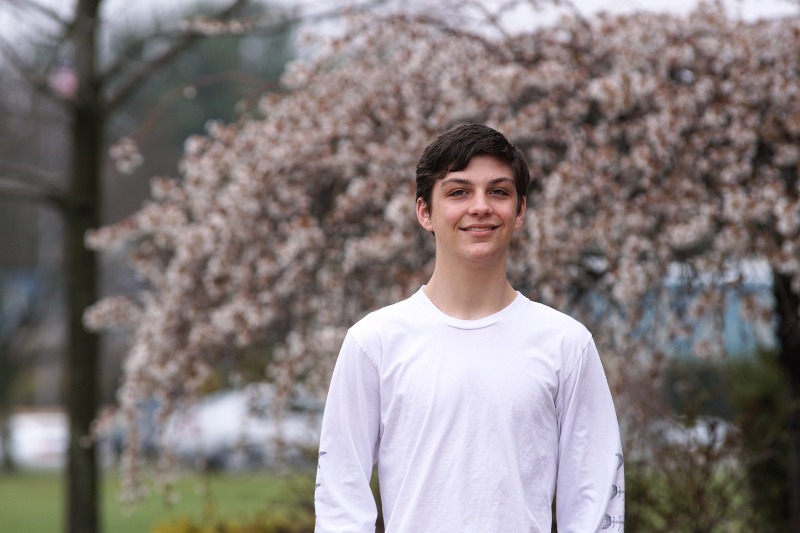 Outside of school, Ian serves as the Vice President of Communications for the Toms River United Synagogue Youth. A lover of movies, Ian writes his movie blog on www.letterboxd.com/theian_sloan. 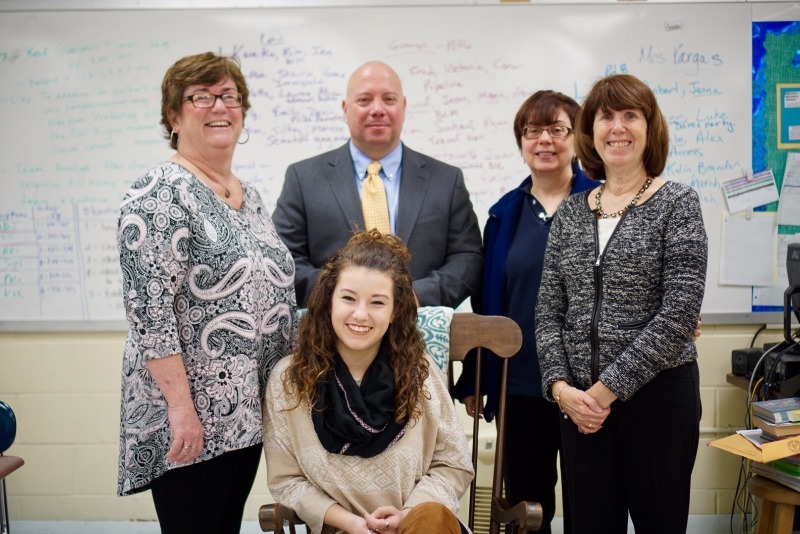 Toms River North is pleased to announce that Emily Ferderici is our "Student of the Month." 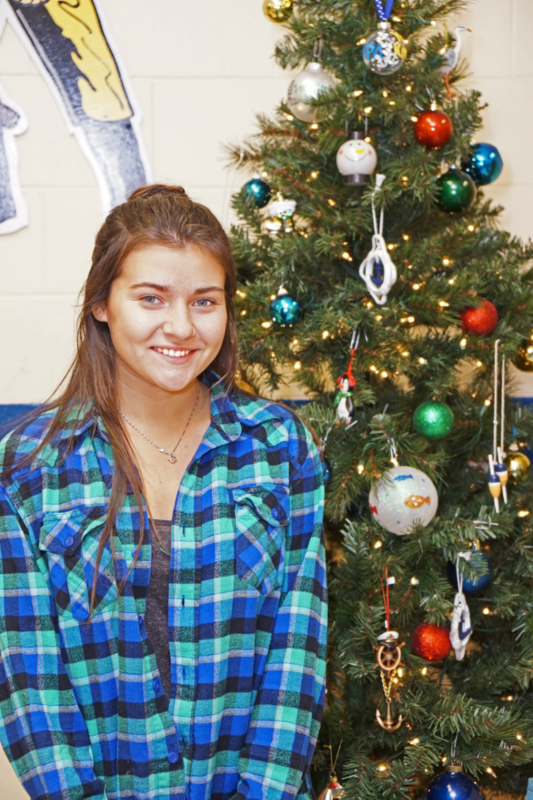 Emily is an excellent student who has been very involved throughout her career at North. She is a member of NHS, Captain’s Crew, TEAM, and currently serves as our Student Council President. She has been on the regular or High Honor Roll during every marking period and plans to major in Nursing. Outside of school, Emily volunteers at the Ocean County Library as well as Saint Joseph’s Church.